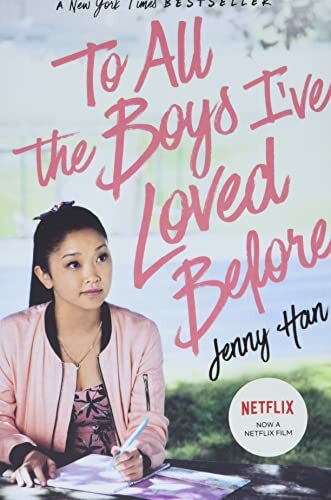 As part of my goal to read more love stories in 2019, I decided to give To All the Boys I’ve Loved Before by Jenny Han a chance. I really enjoyed the movie version, so I figured it was worth trying the book–even though I wasn’t really a fan of The Summer I Turned Pretty, also by Jenny Han. Well. It turned out this was one of the rare times when the movie really was better than the book. The fundamental premise of both the book and the movie is slightly absurd–teenager Lara Jean writes love letters to her crushes, not to send them, but just to put her feelings into words. She writes them, addresses them, and then puts them away to save. But then her letters get mailed by mistake–including the one to Josh, her sister’s (very recently) ex-boyfriend. In a panic to hide her feelings for Josh, Lara Jean tries to convince him that she’s really in love with Peter, one of her other letter recipients. Peter just broke up with his long-time girlfriend, and suggests that he and Lara Jean pretend to date, to make his ex jealous and to throw Josh off the track. Like I said, it’s kind of absurd, but worth going along with. At least in the movie, which had a lot I liked. It’s a cute, funny teenage romantic comedy, with a silly premise but believable and likable characters. I like that it has a lot of diversity–Lara Jean and her two sisters are biracial, Korean and Caucasian; besides their parents’ interracial relationship, none of the guys she crushes on are Asian. Mostly white, one is African-American (and gay). But what I liked best was that Lara Jean used her words, a lot. I’m interrupting my usual Friday programming to instead do a book review, because today is an interesting anniversary–at least, if you’re somewhat intensely interested in L. M. Montgomery! Her dearest friend and cousin, Frederica Campbell, died on January 25th, 1919, a victim of the post-WWI flu epidemic. That makes today the 100th anniversary. Montgomery mourned Frederica, nicknamed Frede, for the rest of her life, and her presence looms very large in Montgomery’s journals and life. So much so that it seems very strange to me that she died a hundred years ago–but I can never quite feel that Montgomery has been dead for over 75 years either. I’ve been rereading the second volume of Montgomery’s selected journals, which includes Frede’s death (which is why I noticed the anniversary date) and it’s quite moving. 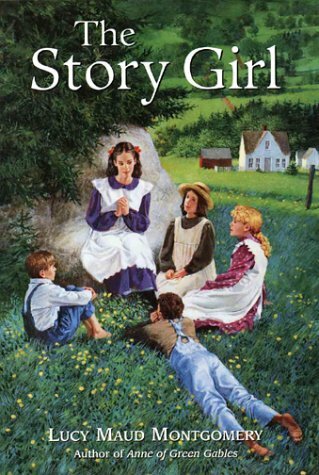 So in a kind of acknowledgement, today I’m reviewing The Story Girl, which I read this month for the L. M. Montgomery January Reading Challenge, and which I didn’t remember was dedicated to Frede until I started it. Kismet! I thought I’d look back at an old review this week, and found this one on a very good YA book I ought to reread! A fascinating premise with such good characters, I’ve read it several times and always found it engaging! Have you ever felt that you’re not quite like anyone else around you? 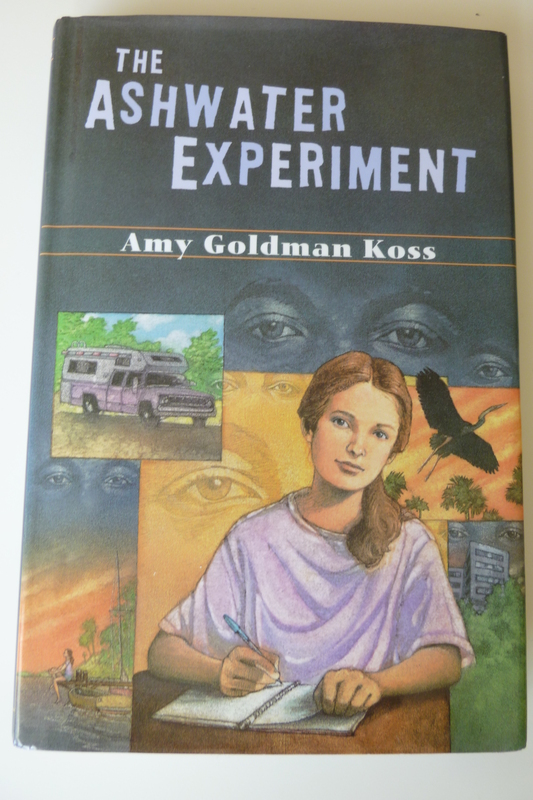 I’m guessing most people have felt that way at some time or another–and that feeling is at the center of The Ashwater Experiment by Amy Goldman Koss. Hillary wonders if she’s the only person who’s real. You can hardly blame her for feeling disconnected from the people around her. She and her parents wander the country in their RV, selling trinkets at craft fairs and never staying anywhere long. By seventh grade, Hillary has been to seventeen different schools and is firmly settled in her pattern of never making ties to anyone. So when she finds out her parents plan to stay in Ashwater for nine months–longer than they’ve ever stayed anywhere–Hillary feels trapped. That’s when she comes up with the Watchers. What if she’s really the center of an experiment? Part holodeck and part Truman Show, she imagines that the world she experiences is really created just for her, with nothing existing outside of what she can see in that moment. At first it’s easy to imagine–everywhere she goes has always seemed to have a pattern, with the same kind of people at every school. As she stays longer in Ashwater, though, people start to seem more real than ever. I’ve read this book before, and in the past I think it was Hillary’s imaginary (but sometimes so real-feeling) game about the Watchers that struck me. This time, that seemed more like a sidenote. It’s a very interesting sidenote–but the heart of the story for me on this read was Hillary’s feeling of being different, and of her gradually increasing understanding for the people around her. When she first meets the kids at her school, she easily classifies them and easily sees them as stock characters. As she gets to know them, she finds unexpected depth to Cassie the bookworm, Serena the society queen, and Brian the class clown. Even the more minor characters, like Serena’s mother or Cassie’s grandmother, the nasty girl who resents Hillary and even Hillary’s own parents and grandparents, are eventually revealed to have their own problems and motives and complexities. No one is simple. And we all feel different sometimes–paradoxically, it’s a feeling we often have in common. 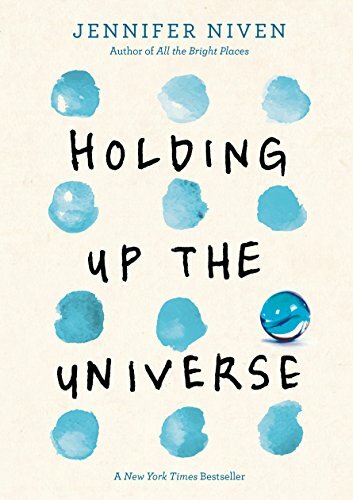 This is another one of those books that reminds me just how good and how deep a YA book can be. It definitely is YA (or even Juvenile), appropriate for young readers and focused on young adults. Hillary is in seventh grade, and she has seventh grader concerns: whether the girls at school like her, how well she’ll do on the math competition, whether her parents are weird. But the larger feelings Hillary struggles with are really universal, and there’s a depth that makes this appealing–even though seventh grade was a long time ago for me. I love a good time-travel novel, especially because people have come up with so many different ways time-travel can work, and so many different challenges that arise. 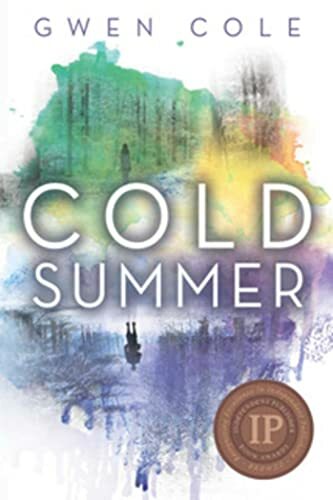 Cold Summer by Gwen Cole was not the most unusual, but it had an interesting premise. Kale has always disappeared–his friends and family have simply treated it as his way, to apparently go off for a few days at a time. But at seventeen, the disappearances are happening more and more frequently, and only a trusted few understand why. Kale is a time-traveler, unable to control his slips back into the past. To make matters worse, for the past six months Kale has only gone back to one place: World War II, as a soldier on the front lines. In the present he’s suffering from PTSD and a growing estrangement from his life. Meanwhile, next door neighbor and childhood friend Harper has recently moved back to town, dealing with her own family crises. Something begins to kindle between Harper and Kale, even while Kale’s time-travel threatens to tear him out of his present-day life for good. 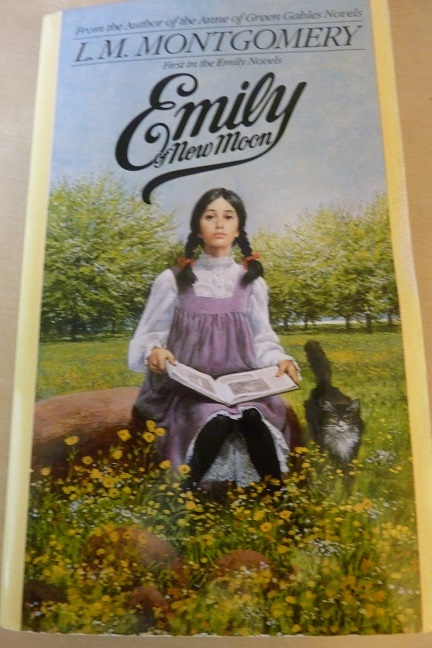 Having just finished rereading the Anne of Green Gables series, I’m about to reread L. M. Montgomery’s other most famous heroine’s trilogy, starting with Emily of New Moon. I thought it would be fun to look back at what I had to say last time I reread! It’s been far too long since I read Emily of New Moon by L. M. Montgomery–ten years, I think, since I took the trilogy with me on a school trip to England. In fact, I found a customs form tucked into my book! Emily is a lovely and beautiful tale of an imaginative girl who dreams of being a writer–of climbing the Alpine Path to success. She lives with relatives at New Moon farm, and runs about with her devoted friends, Ilse, Teddy and Perry. The book sounds at a glance like it’s an opposite number to Anne of Green Gables, and there are certainly overlaps–kind yet not quite understanding guardians, the beautiful expanses of nature in Prince Edward Island, the bosom friends, flights of imagination and inevitable scrapes. But from the very beginning, when Emily learns in devastating fashion that her beloved father is dying, there’s a tragic strain here that gives a different color to the entire trilogy. The difference is visually clear, looking at Emily’s midnight hair versus Anne’s fiery red locks, but it goes much deeper than that. 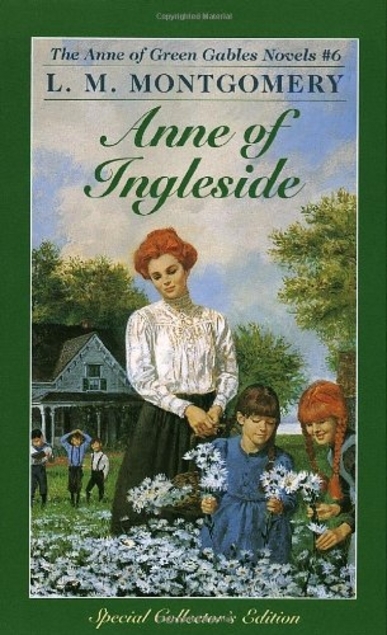 Emily seems to feel things more deeply than Anne (despite all her drama)–both joys and sorrows. The book also touches (with extreme discretion, of course!) on more mature subjects. There’s Mr. Carpenter, Emily’s irascible teacher, who drinks on weekends because he feels his life has been a failure. And there’s Ilse’s mother, who gossip has it left her husband and baby to run off with a sea captain. Anyone who thinks Montgomery only wrote gauzy fairy tales with no shadows is wrong. However–don’t come to the conclusion that the book is dark or morbid or depressing! It’s still Montgomery–and it’s still Prince Edward Island–and there’s still more beauty than sadness. Emily has her trials and her sorrows but she is also surrounded by love and buoyed up by her dreams, her joy in the beauties of nature and her passion for writing. And while it’s been some time, I don’t remember being strongly conscious of the darker undertones when I read this at a younger age. It’s fascinating to read this after all my reading of Montgomery’s journal. There are strong autobiographical strands, especially in Emily’s writing goals and experiences. I get a fun little moment of recognition every time I spot something from her real life–like when Emily’s aunt describes her blank verse poem as “very blank” (LMM’s father said the same once) or when Emily mentions a compact with a friend to never say good-bye (LMM had such an agreement with her beloved cousin, Frede). You know I’m always going to recommend Montgomery books. 🙂 Emily of New Moon is a beautiful novel with an appealing heroine–and for adult readers, more depth and maturity than you might expect.